Sugar maple dieback on the northern range. Warming experiments in tropical forests. The future of Michigan biofuels—and bioenergy development across the Americas. Intensive industrial plantation systems. Family forest conservation. If you have a love for the woods, and a desire to sustain resources for the future, you will feel at home in our nationally recognized program, and our nationally designated Model Forest. 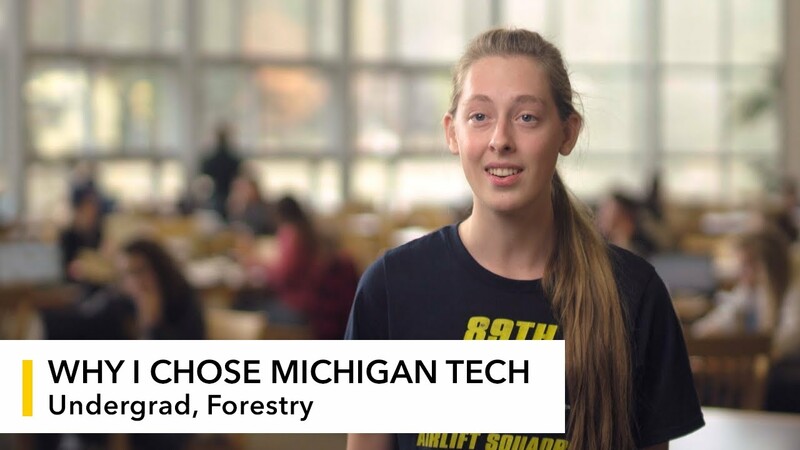 Our School is a community on a first-name basis, connected by shared passion for study, research, and work centered on forest health and ecosystem integrity. Other schools own forests. But ours is right out the back door. There isn't a better place to study forestry than the wild Keweenaw Peninsula, bordered by Lake Superior, blanketed with forests and wetlands (and 218+ inches of snow each winter). Study soil science, biometrics, hydrology, and silviculture. Identify the 37 native tree species of Michigan's Upper Peninsula. Learn the 152 trees and plants covered in FW2010 Vegetation of North America. As a member of our scholarly community you'll build strong working relationships with professors and peers in classrooms, labs, and out in the field for work and play. You'll find many opportunities, through social and intellectual interaction, to dive into subjects that matter most to you. Work with communities, the School, and private landowners to develop management plans (industry and recreational) for forested landscapes. Perform field canopy, arborist, and selective harvest practices. Identify tree pests and diseases. Put skills and knowledge to work ASAP. After the first year of classes you'll be qualified to find a summer job in your field, and start building your future career. Our forestry and master of forestry programs are SAF accredited. Employers look for it. Where do foresters find jobs? Our graduates work for the US Forest Service, US Department of Agriculture, state forestry divisions, and the forest industry, including forestry and environmental consulting firms. They also receive job offers from public school districts, higher education institutions, nature conservancies, wildlife federations, sovereign Native American nations, and research stations. You can also pursue an advanced academic degree—many of our graduates do. What do our forestry graduates say about their careers?